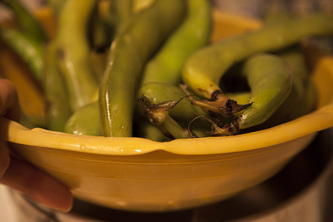 Fill a large saucepan with water and bring it to a boil. 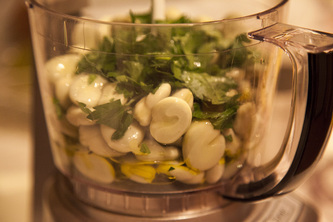 Blanch the beans for 5-6 minutes. Drain, chill and shell the beans. 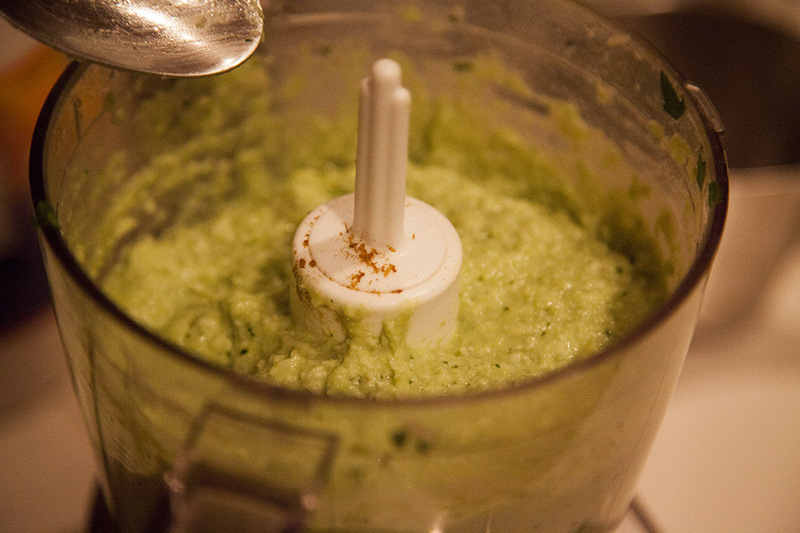 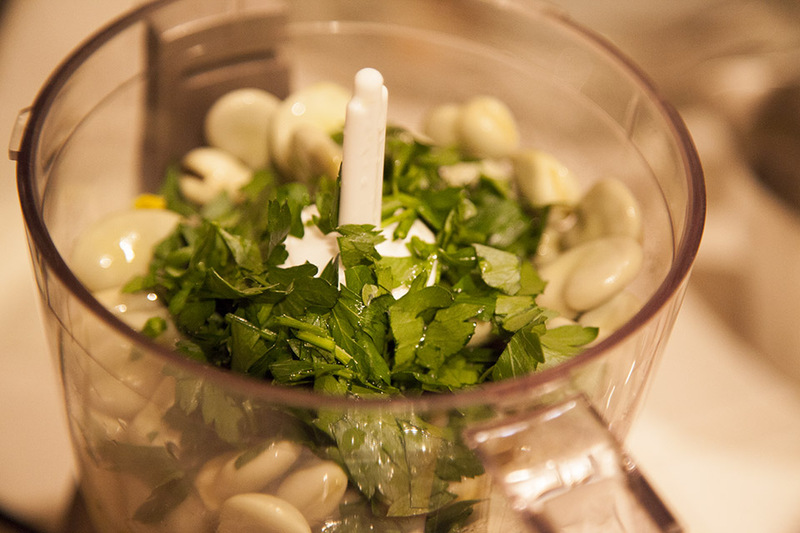 In a blender or food processor, combine the beans, water, lemon juice, cumin, parsley, oil, and process until smooth. 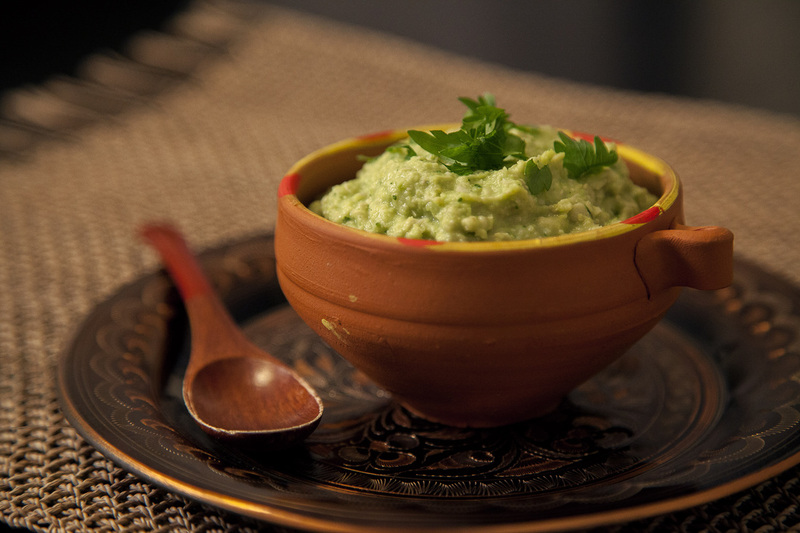 Serve with pita bread or sliced raw vegetables. 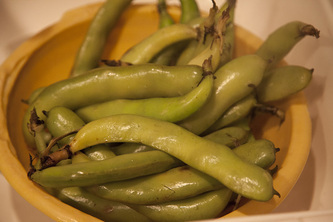 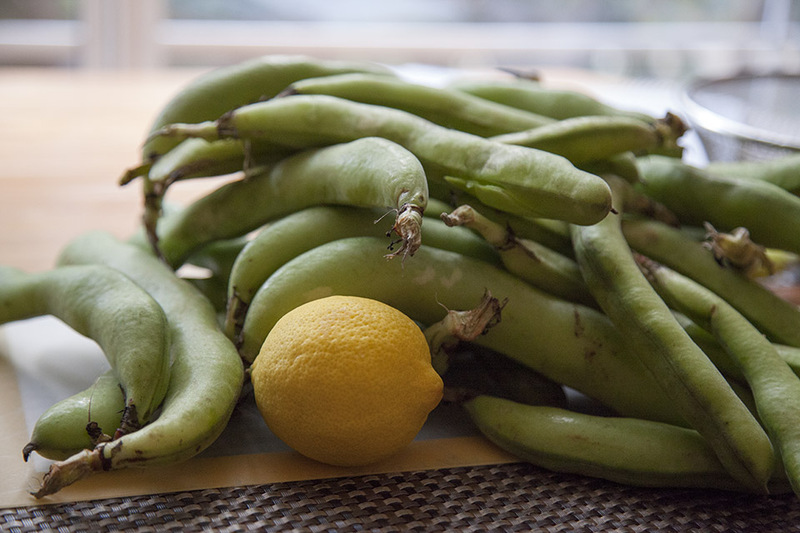 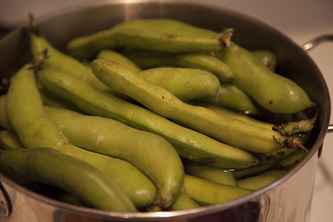 Tip: If fava beans are not young, they have to be peeled twice: the outer shell and outer skin of each bean.